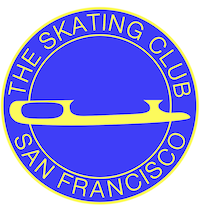 Congratulations to all our SCSF skaters at the Pacific Coast Adult Sectionals! We are so proud of your accomplishments. Championship Adult Silver Ladies- Leslie Duskin, 1st place; Megan Daly, 2nd place. Championship Adult Silver Men- Alan Lessik, 4th place. Championship Adult Gold Men- Reuben Jenkins, 5th place. Championship Masters Intermediate-Novice Men- Ted Gradman, 4th place. Championship Adult Gold Ladies- Amy Pisoni, 3rd place. Adult Silver Ladies II- Leslie Duskin, 1st place; JeanTeng, 4th place. Adult Silver Ladies IV- Elizabeth Risberg, 2nd place. Adult Gold Ladies IV, V- Rebecca Hurst, 4th place. Adult Silver Dramatic Entertainment IV, V- Elizabeth Risberg 4th place, Alan Lessik 5th place. Adult Bronze Dramatic Entertainment I, II- Lisa Chao, 3rd place. Adult Bronze Dramatic Entertainment III- Alexei Folger, 5th place, Joanna Ramberg 7th place. Adult Bronze Dramatic Entertainment IV- Boon Lee, 7th place, Lisa Ferguson-Walker 8th place. Adult Gold Dramatic Entertainment I, II- Gwenaelle Delaplanche, 4th place. Adult Gold Dramatic Entertainment III, IV, V- Rebecca Hurst, 3rd place. Adult Bronze Solo Pattern Dance- Adrienne Howell, 1st place; Paula Santos, 2nd place. Adult Silver Lt. Entertainment II, III- Jean Teng 2nd place. Adult Bronze Lt. Entertainment II, III, IV- Elena Sukhovnina, 2nd place. Masters Dramatic Entertainment I, II- Merrick Jacob. Masters Dramatic Entertainment II, IV, V- Ted Gradman, 4th place. Adult Bronze Ladies II- Elena Sukhovnina,3rd place; Lisa Chao, 4th place. Adult Bronze Ladies III- Alexei Folger, 2nd place. Adult Bronze Ladies IV- Kim McElwee, 4th place. Adult Bronze Men III, IV- Boon Lee, 1st place. It’s time for Tremors Synchronized Ice Skating Teams Annual “Give Sync a Try” event at Yerba Buena Ice Skating and Bowling Center! Join the San Francisco Tremors on Sunday March 10, 2019. A reminder email will be sent to you from skatetremors@gmail.com the week of 3/3/19. PLEASE NOTE: Parents of non-Tremors team members must be present during the event. We look forward to seeing you! Tremors Synchronized Ice Skating Teams – www.TremorsSF.org. Download the Flyer below. 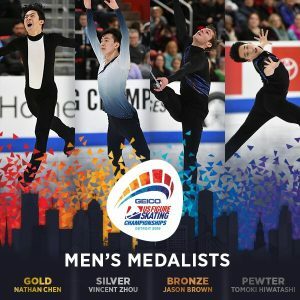 Congratulations to SCSF member, Vincent Zhou, who is the Silver medalist in the Championship Men event at the 2019 GEICO U.S. 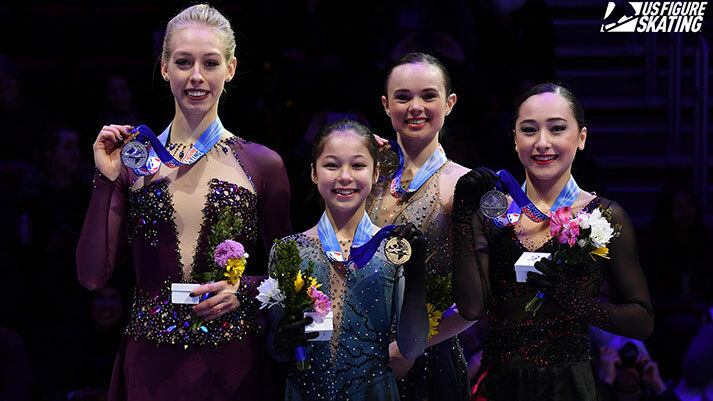 Figure Skating Championships! Kudos to SCSF member, Anthony Ponomarenko and his partner, Christina Carreira of SC of NY, on their performance in the Championship Dance event, placing 5th overall. A big round of applause goes out to Club member Sierra Venetta for her dedication and hard work to our sport. She placed 12th in the Championship Ladies event. We are proud to announce long time SCSF member Dinh Tran is the Silver medalist in the Junior Men event, and our own Emilia Murdock is the Bronze medalist in Junior Ladies. 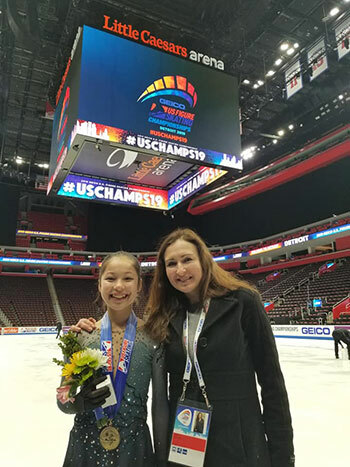 SCSF thanks and appreciates Club member, Kate Wang, who placed 10th in Novice Ladies, for her hard work and devotion to figure skating.